Summary: (from the back of the book): As fun to read as fiction, these exciting true stories prove that anyone, at any age, in any life circumstance, an make a difference in the world. Meet young people of all ages who take social action, fight crime, work to save the environment, and even perform heroic acts. Find out what gives them the courage to speak out, come to the rescue, and stand up for their beliefs. They may inspire you to do great things, too. 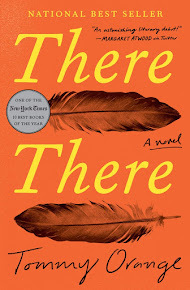 Review: Students really seem to enjoy reading books about real life and in particular about other teenagers who have experienced tough times and how they have come out of it. 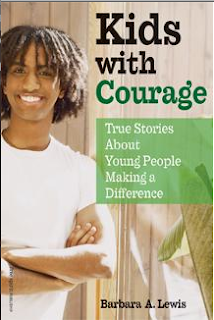 Given that, I've recently bought a bunch of books that fit into that category for our library and Kids With Courage is one of them. I'll admit that I skimmed through the stories, each of which is only a few pages long (and there are photographs). If I can get students to check this book out I think they will like it. Since each story is short, it's an easy book to read in fits and starts and would fit perfectly into SSR time (15 minutes of reading a few times a week). The human spirit, especially in the young, is an amazing thing. Through poverty, abuse, fear, violence, and despair, people rise up and are seemingly ok, even taking their experiences and helping others who have been through similar events. What I like is that these stories aren't all "perfect and rosy". They are honest about how difficult it was for the young people to overcome their situations and how they needed therapy, a caring adult, or a supportive community to get them through. What is amazing is that each of these youths must be quite strong; they come to realize on their own that they need a better life and that they are the ones who need to fix it, that they cannot rely on others to make things better. Personal responsibility is a theme throughout the books and I think that's great! Helen, this sounds quite inspirational. Thank you for your thoughtful review.